We have the experience and knowledge to make your gold party or event a success. We have been in the jewelry business for 40 years and use only the most technologically advanced equipment and our experience to properly appraise your precious metals and gemstones. We buy all types of jewelry - in any condition - in any quantity! No amount too small. 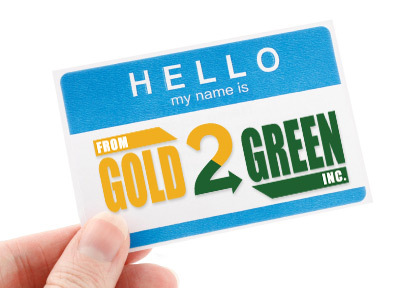 From Gold 2 Green is committed to making your party or event a success, and as convenient as possible for you, the host. We are willing to travel to your home party, office, business, non-profit or fundraising event at our expense. Just contact us for details about having us travel to your location.